With only two days until National Signing Day, let’s take a look at some of the Rebels’ top remaining targets. National Signing Day is Wednesday, February 6, so we are a mere two days away from seeing head coach Matt Luke’s 2019 Ole Miss recruiting class. Back in December, 25 recruits signed their National Letters of Intent with Ole Miss, and 11 of those players enrolled in school in January. As you might recall, the Rebels’ early signees strengthened the team’s depth on the offensive line, at receiver, and in the defensive backfield. So what should fans expect on National Signing Day? The Rebels can roll seven of their signings from December, 2018 back into the 2018 scholarship limit. That means Coach Luke and his staff should have seven more scholarships to use on February 6. According to 247Sports.com, the Rebels class currently sits at No. 25 in the nation–11th best in the SEC–with an average rating of an 87.03. Despite a few top targets who got away back in December, the Ole Miss 2019 class is still looking good. The top of the class is headlined by 4-star wide receiver Dannis Jackson, 4-star offensive tackle Darius Thomas, 4-star JUCO defensive end Sam Williams, and 4-star dual threat quarterback Grant Tisdale. They will all compete immediately and provide good depth for what will be a very young Rebels team. However, the Rebels still have their eyes on some big 2019 targets, including some prospects who were on campus January 26. Let’s take a look at the remaining players the Rebels are hoping will choose Ole Miss on Wednesday. Ealy has been called a once-in-a-generation player by many–and with good reason. The 5-star running back comes right out of the Rebels’ backyard in Jackson. He de-committed from Ole Miss on January 8 before taking a visit to Clemson. Despite the belief that the talented baseball player will choose the MLB Draft over college football, he is expected to sign his NLI Wednesday. Ealy is a top-25 MLB Draft prospect for 2019 and will likely be a first-round pick this summer. 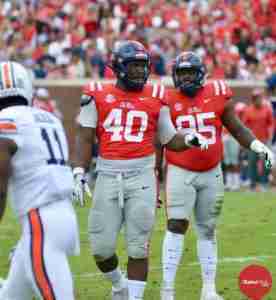 Make no mistake, it hurt to lose Ealy–if the Rebs do, indeed, lose him. He was the icing on the cake for this class and is recognized as the third-best player in Mississippi–in a year that is loaded with talent. Ealy has been to Oxford countless times over the years, but Saturday (Jan. 26) was his last trip to Ole Miss before he signs his letter of intent. The two-sport star spent part of his weekend with Rebels’ baseball coach Mike Bianco, as well. It’s reported that the schools in the mix are Clemson, Ole Miss, Mississippi State, and Alabama. Clemson head coach Dabo Swinney was in Jackson Tuesday to visit Ealy, and the Tigers are currently the favorites to land the MVP of the Under Armour All-America game. One item of note, however, is that Clemson just got a commit from 3-star running back Mikey Dukes this weekend, the Tigers’ second RB recruit in the 2019 class. Ealy visited Alabama this weekend with his last official visit. Incidentally, that is also where former Mississippi State running backs coach Charles Huff now works for Tide head coach Nick Saban. The 5-star is said to have a strong relationship with Huff. Ealy will sign his letter of intent on February 6th, but it will be unclear until this summer whether or not he will choose college over the MLB Draft. Henry is the top junior college inside linebacker prospect in the country and is one who could immediately impact the Ole Miss defense. When Henry left Ole Miss after his Jan. 26 visit, he told 247Sports that the Rebels and Arkansas were tied for the lead in his recruitment; however, he went on an official visit to Texas this weekend. Mike MacIntyre and Jon Sumrall met with Henry earlier in January, and also went and met with his mother in Vidalia, Georgia. Henry would be a huge get for the Rebels and new defensive coordinator Mike MacIntyre. Note: The above paragraph has been edited from an earlier version that did not clearly refer to the exact date when Ole Miss coaches met with Henry. They met with him January 15, prior to National Signing Day on February 6. We are sorry for any confusion. Like Ealy, Plumlee is a two-sport star who also spent time with Coach Bianco when he was on campus January 26. It was reported that Plumlee’s meeting with Rebels new offensive coordinator Rich Rodriguez went very well, as Plumlee learned more about his expected role in the Ole Miss offense. He is currently committed to Georgia; however, his recruitment seems to still be fairly open. He is down to Ole Miss, Georgia, Mississippi State, Auburn, and Florida State, with just two days left before NSD. This weekend, Plumlee took his final official visit, traveling to Florida State. The situation got a little more interesting on the visit as FSU quarterback Deondre Francois was released from the team Sunday, but all reports are that Plumlee–who was joined on the visit by his parents and his younger sister–enjoyed his trip to Tallahassee. 247Sports’ crystal ball projections show Plumlee to Ole Miss. Mingo committed to the Rebels back in July, but chose not to sign his NLI back during the early signing period in December. Georgia and Mississippi State are hot on the trail of this talented player. After visiting Ole Miss, Mingo told reporters that the coaching staff gave him a better idea of what his role would be next year, a concern that he had prior to his visit. He visited Mississippi State earlier in the month, but was reportedly done with visits after leaving Oxford. David Johnson of 247Sports has Mingo’s crystal ball to Ole Miss, so let’s just cross our fingers and wait for Wednesday. Cox declined interviews before leaving his visit at Ole Miss, but all reports say things went well. Despite his commitment to Tennessee, it seems that either Ole Miss or Auburn will land Cox on signing day. 247Sports has the Alabama native’s crystal ball to Auburn, but Rivals recruiting expert Chad Simmons says folks shouldn’t sleep on the Rebels. “Ole Miss assistant Freddie Roach has done an excellent job recruiting Cox, and with defensive line being a big need in Oxford, Ole Miss is very much in play,” Simmons says. At 6’5″ 300 lbs, Cox has the size and strength to stop the run in the SEC, and will hopefully consider doing so at Ole Miss. Spivey’s recruitment is very simple. Come Wednesday, he will either be a Rebel or a Razorback. He has been a strong Arkansas commit for about six months, but Ole Miss came on late in the fall. Reports are that Spivey bonded well with current Rebels and the coaches on his visit and that the Rebels are in the hunt for Spivey. Rivals’ Chad Simmons believes Spivey will be a Razorback on signing day but gives the Rebs a shot, saying: “..There is some real chatter about how Ole Miss has a legitimate shot at flipping Spivey from Arkansas.” He went on to add, however, that Spivey is very close to the Razorbacks running backs coach, so it will be interesting to see what happens on February 6. Mack has been committed to the Rebels since late December, and after his visit to Oxford, he remains a hard commit. He spent that weekend getting closer with players and that staff, along with trying to help recruit fellow Alabama natives LeDarrius Cox and A’Montae Spivey. He will be a Rebel in two days, we’ve no doubt. In just two days, we’ll know much more about the future of the Ole Miss football program as the final pieces of the 2019 recruiting puzzle fall into place. Ole Miss currently has 25 players signed from the class of 2019 with 11 already enrolled and on campus. Though they lost a few targets back during the early signing period, the Rebels will fare well with this class. New coordinators Rich Rodriguez and Mike MacIntyre are looking forward to the talented players who will be coming in to help fill the holes left by seniors and players who departed early for the NFL Draft. 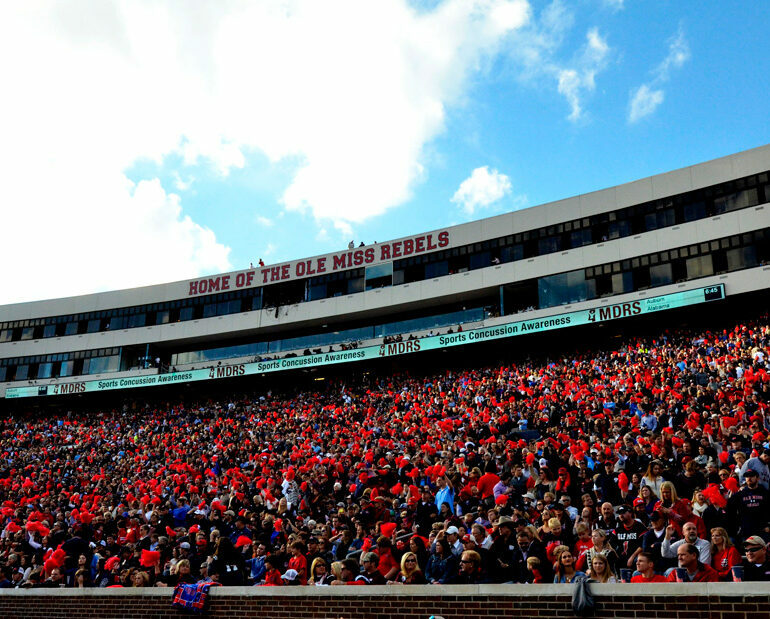 Stay strong, Rebel Fans! It’s almost February 6. 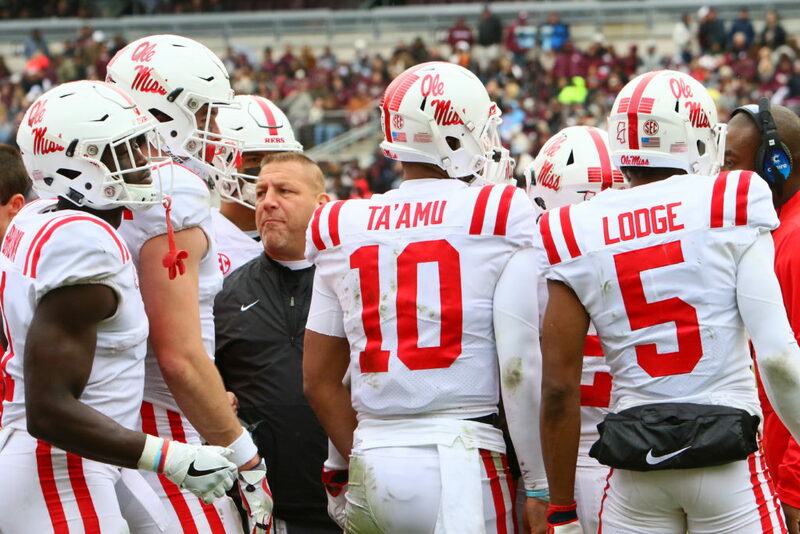 We might’ve lost a few along the way, but the 2019 Rebels will be just fine without them.